Using Eco-Friendly Product giveaways is an increasing trend by businesses to market their company and show customers that they are in tune with today’s increasing green movement. Being environmentally friendly can not only be rewarding to the business owner, but also to your customer. 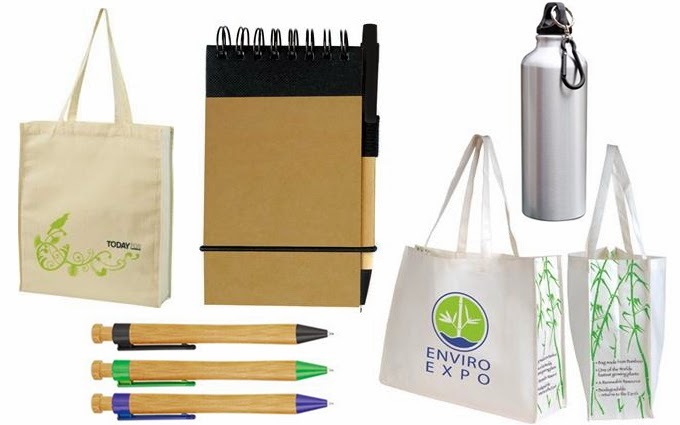 Receiving Eco-Friendly giveaways can potentially increase their awareness in your company in a positive light, showing them that you are promoting sustainable living and interested in the wellbeing of your customers. Here are the top 5 reasons why you should use Eco-Friendly Product Giveaways. Promotional and product giveaways are an extremely popular and common way for a company to increase brand visibility. Stand out from the crowd and give away something a little different that your customer is sure to remember or reach out to new customers who are looking for genuine green solutions. 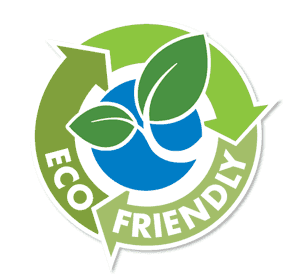 Eco friendly Products should satisfy at least 2 of the following criteria. · They are organic or biodegradable. With a positive environmental message, your product is sure to be noticed. In today’s society everybody needs to play their part in helping the environment. By using organic, recycled, re-usable or biodegradable products to promote your business you are also promoting sustainable living. You are reducing your carbon footprint and saving resources which will lesson your impact on the environment. This will be rewarding to you as a business owner and you customers will thank you for it. Show the world that you are environmentally focused and a promoter of sustainable living. This will show that your company cares about its customers and wellbeing. It takes the focus away from pushy advertising and profits and will give your product the upper hand when compared to non-environmental giveaways. You customers will remember your brand in a positive light and be more inclined to connect if they are an environmentally focused person. As more people become concerned about today’s environmental issues and the benefits of sustainable living, they are increasingly ready to respond to companies who also take these matters seriously. Producing ten thousand plastic pens that will potentially end up in landfill could have a negative impact on your company. Why not invest in recycled pencils instead! Being Eco-friendly will put you ahead of your competitors while increasing awareness and respect of your brand. With so many Eco-Friendly Products on the market right now, it’s easy to integrate these products into your campaign. As demand for these products increase daily, prices remain low which means that your Eco-Friendly choice is cost effective and gives your product the wow-factor! · Recycled notebooks, sticky notes, pencils, umbrellas and sun visors. · Organic shopping bags, hats, t-shirts or fair-trade coffee or chocolate. · Biodegradable mugs, tumblers, pens, rulers and key rings. · Reusable lunch bags, water bottles and shopping bags. Tim works for a marketing agency specialising in promotional products and merchandise in Australia. Find out more tips from Tim at his blog at Custom Gear, where he writes about the latest trends in the industry.